World War 2 made disastrous changes in the behavior of the countries worldwide. Trust was now at the bottom of the page; it was now time to secure the borders and ensure tight armed forces on the gates. 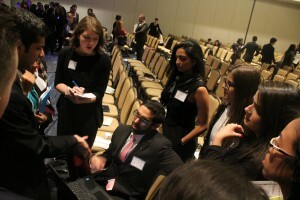 With the diplomatic approach and the word “peace” on the top of the agenda, the delegates had different views placed on the table, planning a general framework to prevent and to protect ethnic crisis, have an open and international network, collaborate on various International levels, pre- and post- conflicts. After talking to some countries, Agence France-Press learned that the delegates of Uzbekistan graciously support and preach planning and managing ethnic trends. Haiti, on the other hand, chose to take on peaceful measures by educating the masses and helping them understanding the importance of international security. In line with this, Guyana, too, seconds that thought. India, on the other hand in the session, thinks a little differently — and why not, with over a billion people and the third largest army in the world, a number of diverse cultures, and a cumulative spending of more than 20 percent of the finance budget on its Armed Forces. 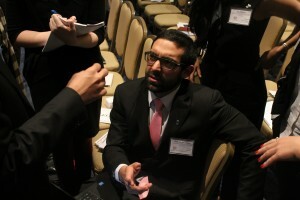 The Delegation of India spoke about educating international peacekeeping forces to identify new set of arms and ammunition, clubbing up with the United Kingdom and China. In short, India’s approach is to enact the minimum conflict by information gathering and improving the way of life of the younger generation by economic cooperation. The Republic of the Congo listens to potential working paper ideas. Delegates are lured together by the promise of mutually agreeable solutions.